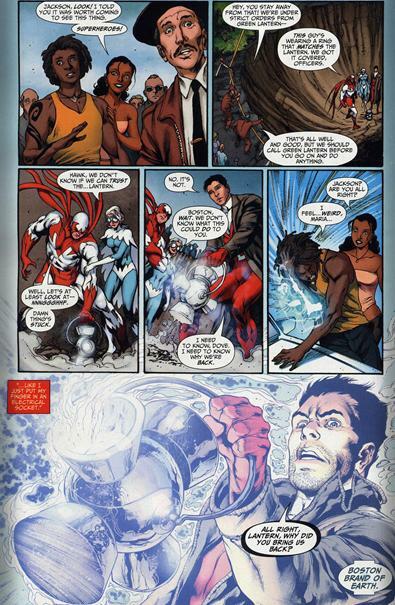 Aqualad and his girlfriend watch as Deadman, hawk and dove approach the white lantern. Deadman communes with the white light entity who reveals it is dying and needs a host. Aqualad’s tattoo starts glowing and he says it’s like being electrocuted. 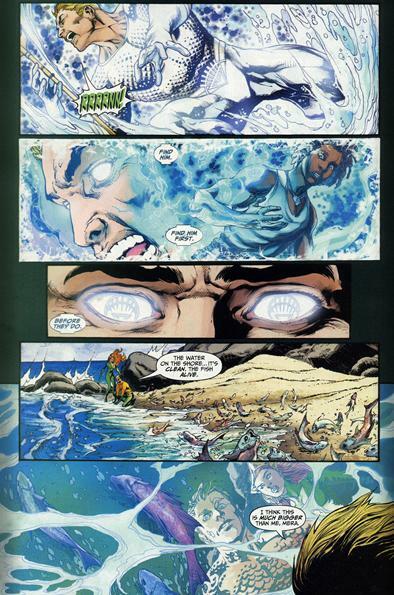 Every person brought back at the end of the Blackest Night gets a message from the entity. Firestorm undergoes a switch in dominant personality from Ronnie to Jason and Black Lantern firestorm says they can’t hold him for long he will destroy the white light. The entity beckons them to not allow Black Lantern Firestorm to destroy everything. Aquaman realizes he must find Aqualad before Black Manta and Siren or all is lost. 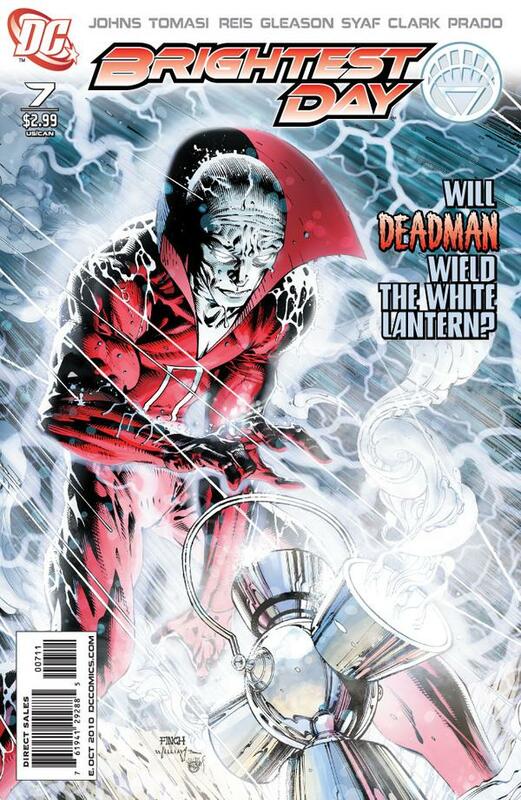 Deadman is then given the task of finding a replacement for the white light entity. The firestorm situation goes from bad to worse as Black Lantern Firestorm may be the end of all of existence. Just all set up really for things to come. Nothing eventful for either Firestorm or Aqulad occurred.